Dear vintage sewing enthusiasts! 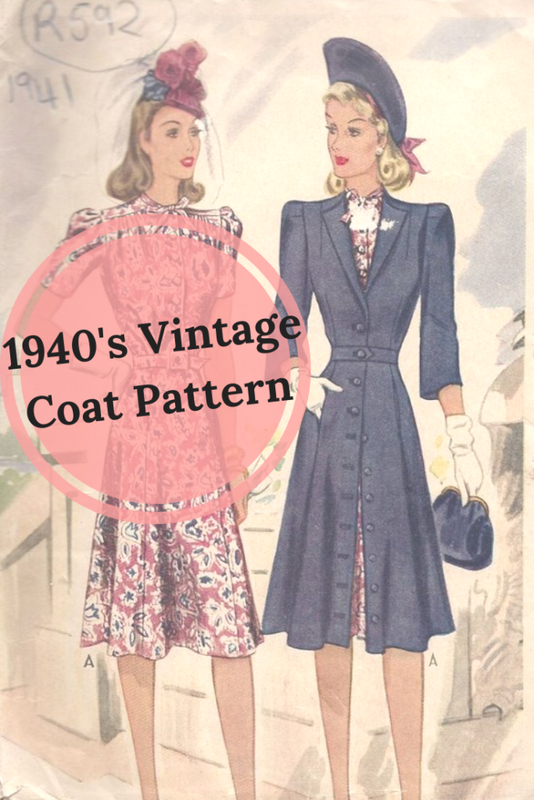 Let me introduce you to a beautiful 1940’s Vintage Coat Pattern! It has been only a second 1940’s garment that I’ve made and boy was it a challenge! 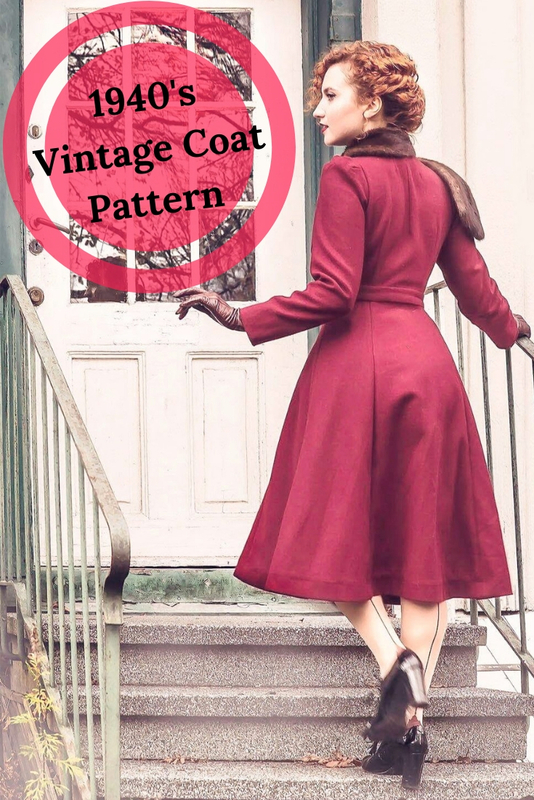 If you have never made a coat before, I would advise you to start with a more modern pattern. Why? Well… depending on how advanced you are, the instructions from the 1940’s might seem anything from unhelpful to plainly confusing. Personally, I had one look at the tiny print, got a headache and decided to figure it out myself. Not that I’m soo smart 😛 I simply dislike when the explanation is more confusing than the sewing itself. I often tell myself (read: force myself) to try a new technique with every new project. This way, I learn all the time and I learn fast. This time, I went all in and tried two new things at once: bound buttonholes, which I dreaded for the longest time and hong kong seam finish. The bound buttonholes took a long time to make, but they were extremely rewarding! I can’t even imagine the coat without them now. The finish looks professional and the effect was worth every extra minute spent on the coat. The hong kong seams were very fun to make as well. I will surely use this seam finish in many future projects. What do you think about the coat? Are you brave enough to work with a 1940’s pattern? I got my copy from The Vintage Pattern Shop. Here is a link to the pattern itself. The lovely thing about the patterns from The Vintage Pattern Shop is that they come with a little booklet which will help you with fitting and modifying the pattern to your needs. Would you like to give it a go? Let me know in the comments and Pin the pattern for later! Hi! 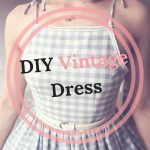 I’m not an amazing seamstress, as I’m fairly new at it and I’ve only just started to embrace a love for vintage clothing, furniture, and jewelry. Do you have any advice on how to improve my skills in the field?